Owner and lead stylist Sally has been cutting and styling hair for 13 years. She spent the last eight working in London’s west-end, where she built up a loyal clientele. 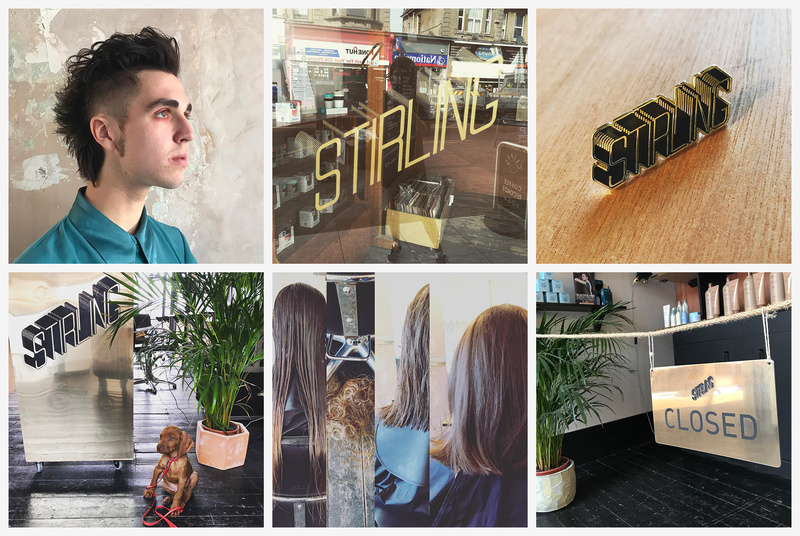 Moving to Margate, Sally has gathered a highly skilled team around her to establish Stirling, her exceptional and exciting new salon. Stirling is Sally’s mum’s family name, so it was doubly important to get something that felt just right. The simple forms of the custom lettering in isomorphic projection felt instantly familiar. The lettering in the basic logo is extruded but the logo can be used in a single colour either for the lettering and etching or for the extrusion and outlines. Both versions can be seen on the appointment card below.